Mexican stripe arm cashmere jumper from Jumper 1234 . 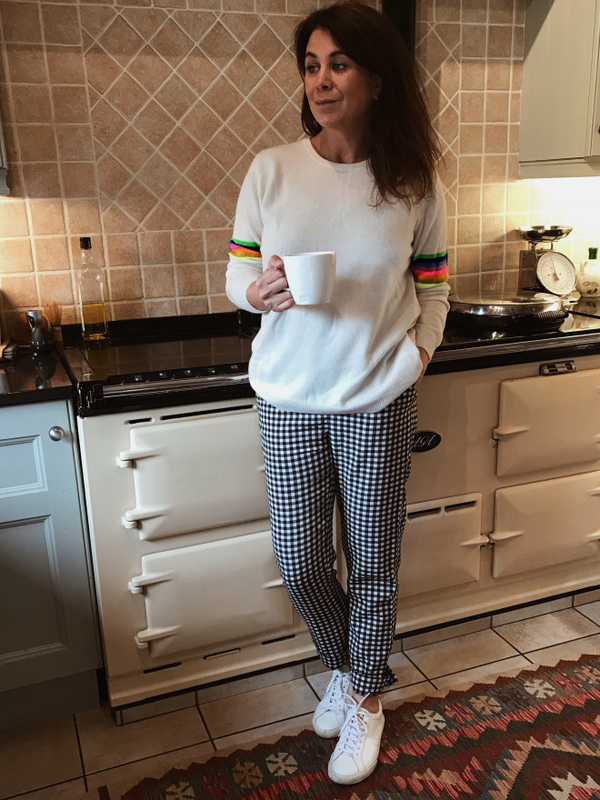 This crew knit jumper in cream is finished with a rainbow stripe on the sleeve. It is an easy fit and adds a little colour to your winter wardrobe. SKU: 11731. Availability: Out of stock Size: N/A Categories: 18AW, CASHMERE, CLOTHING, CLOTHING KNITWEAR, CLOTHING KNITWEAR CASHMERE, JUMPER 1234, KNITWEAR. Tags: coloured arm, jumper 1234, london, mexican wave, rainbow.